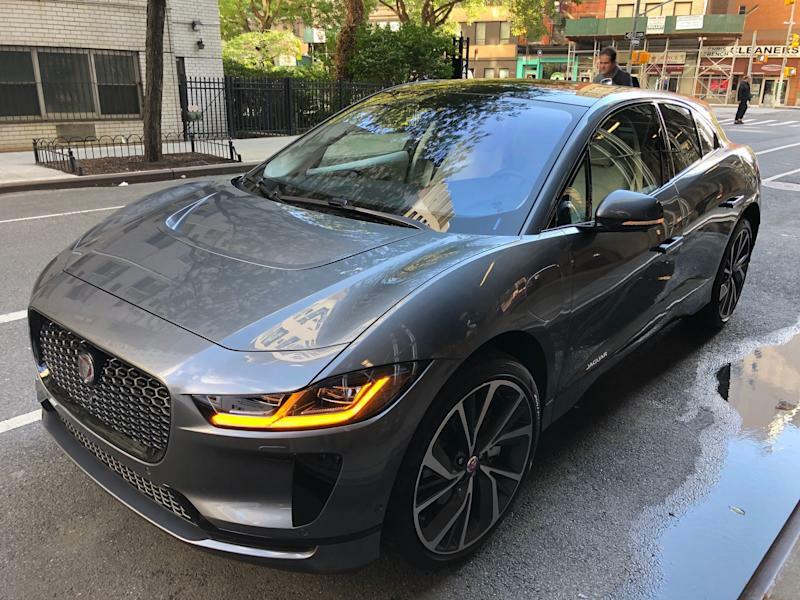 Jaguar I-PACE better than Tesla Model Y? 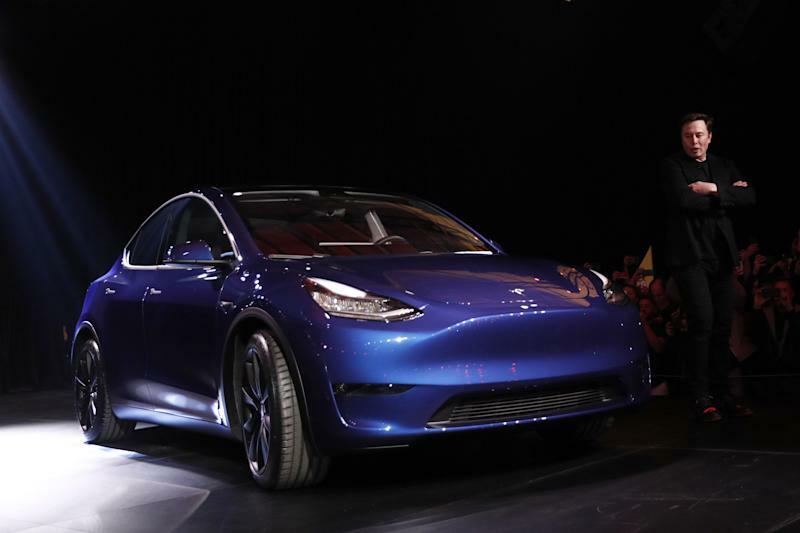 After three and half years of anticipation, Tesla (TSLA) finally revealed its Model Y midsize crossover SUV last last week. Now, we haven’t driven the Model Y or seen it in the flesh, but here’s what we know. Slotted right below the Model X, Tesla’s new SUV will come in four variants: Standard, Long Range, Long Range (AWD), and Performance (AWD). Pricing for the standard variant isn’t listed on the Tesla website, but press materials say it will start at $39,000, with an estimated 230 miles of range. According to Tesla’s website, the Long Range version starts at $47,000 (300 mi. range), while the Long Range (AWD) starts at $51,000 (280 mi. range), and finally a fully loaded Performance model will cost nearly $75,000 (280 mi. range). We don’t really have any power figures like horsepower and torque yet, but Tesla’s website reveals the Long Range RWD drive model will hit 0-60 mph in 5.5 seconds, the dual motor hitting it in 4.8 seconds, and the performance model reaching 60 mph in a brisk 3.5 seconds. All of these acceleration figures are estimated. In terms of availability, we do know the more expensive versions will come out first, with Tesla forecasting a launch in the fall of 2020. Those are all nice and good. We’ll still have to see how Elon Musk gets the Model Y to market and scale to meet demand. But as we all know Tesla can’t be bothered with revealing those pesky, logistical details like: (1) where is the Model Y going to be built, (2) how many vehicles does Tesla anticipate shipping in the first year of production, (3) will production in Shanghai be a factor, etc. Despite these big questions, Tesla fans appear willing to wait for their Model Ys. But, let’s say you were in the market for a midsize, electric SUV, and didn’t want to wait nearly two years for Elon’s latest. Well, there’s a Model Y competitor that’s already out there — a luxurious, powerful mid-size SUV from a traditional carmaker that you can buy right now. And it was just named the Car of the Year at the Geneva Auto Show earlier this month. 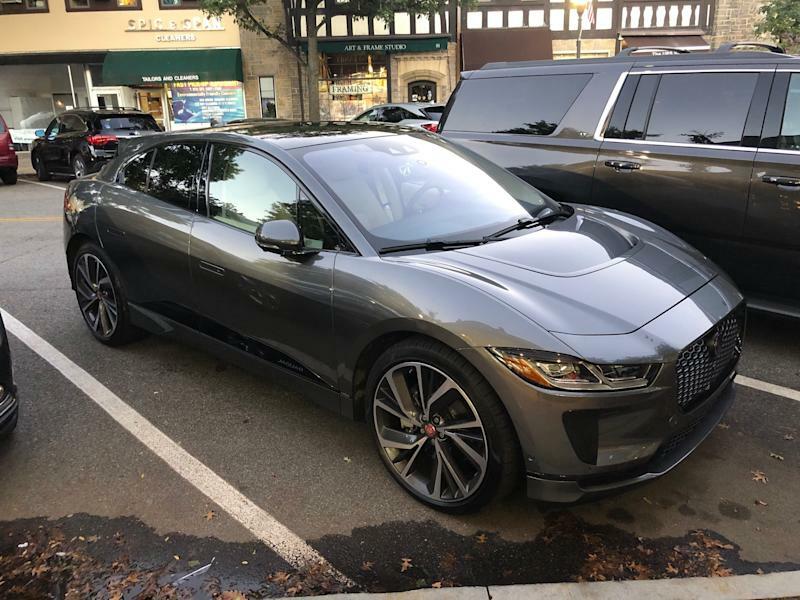 My colleague Rick Newman and I test drove the Jaguar I-PACE (TTM) all electric crossover a few weeks back, and we were very impressed with the level of comfort, performance, drivability, and technology the I-PACE had on offer. When I spoke to Jaguar head designer Ian Callum at last year’s New York Auto Show, he was adamant that Jaguar bring this car to market quickly, and with an all-new platform, in what seemed like a record short amount of time. Despite the time constraints, the all-new platform for an electric drivetrain vehicle offers designers, and occupants, a range of great options. The chassis, he said, is basically a skateboard, and because an electric powertrain footprint is relatively small and contained compared to a gas-powered drivetrain, a cabin can be pushed forward to create more space and visibility, wheels can be pushed out to the edges for greater agility and performance, and space can be created for cargo. Plus with a battery pack placed low in the center of the vehicle, handling is flat and the car is nimble on its feet. Ian wasn’t joking when he said these things. Rick and I found the I-PACE a joy to drive. It’s 394 horsepower and beastly 512 lb-feet of torque provided brisk acceleration and sporty handling around in cities and on backroads. But it was the smoothness of the acceleration, and linearity, that we both praised during our test. 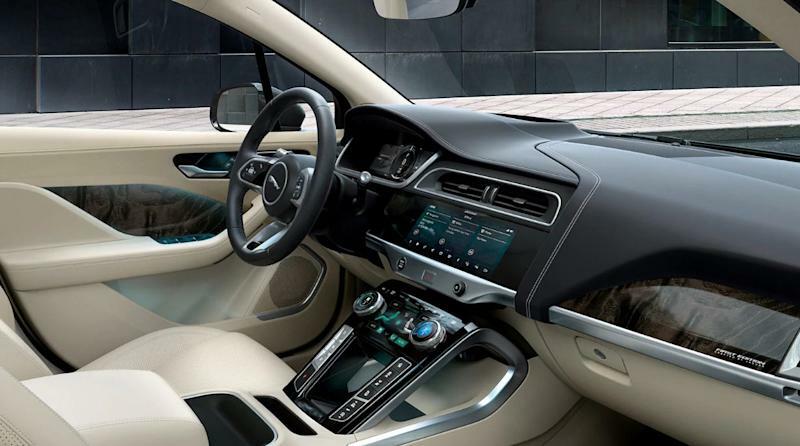 Inside, the creature comforts were on par for a luxury brand like Jaguar, but the British marque has upped the game with a dual touchscreen display surrounded by a pleasing piano gloss material, and an informative digital instrument panel under the dash. It was simple and intuitive to use, and a better iteration of what’s found in some current Jags. The steering wheel also used flush, piano black touch buttons, which were a nice touch. The materials used in the cabin were high quality, lots of soft touch panels, leather, wood, machined aluminum - really pleasant finishes throughout. Seats were comfortable and in our car featured upgraded Windsor leather seats. It was all together a pleasant environment to be in, and quiet. You forget how quiet electric cars can be, but this Jaguar in particular is library-like. 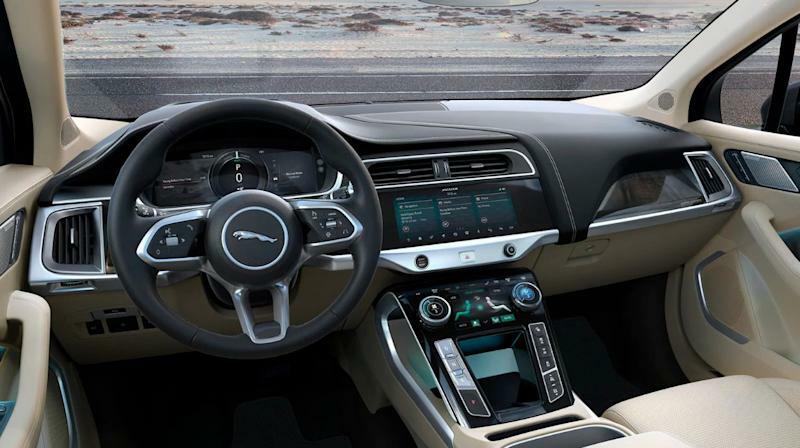 Jaguar uses something called “acoustic laminated glass,” which on the front windows and windshield reduce exterior noise from entering the cabin. The only knock I can think of is the range - I observed around 220 miles per charge (Jaguar says it will get 234 miles per full charge). Not bad, but it’s one area where it would be nicer to have more juice in reserve. 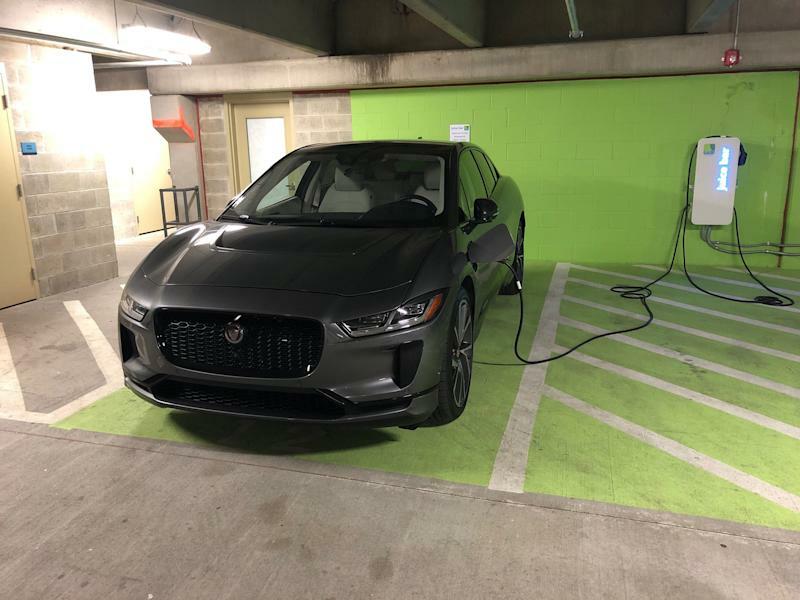 It’s possible Jaguar will release an extended-range I-PACE in the future, but the current model can charge up to 80% in as little as 45 minutes with a 100 kW DC charger, which is a pretty decent among its electrified competitors. So if you’re in the market, why buy the I-PACE now over waiting two years for a Model Y? In terms of pricing the I-PACE starts at $69,500, and has the same powertrain and capacity as the fully loaded $86K version we had. A comparable Model Y Long Range (AWD) will cost you $61,500 (according to the Tesla website), so yes the Model Y is cheaper and has more range, but the I-PACE is still in the same ballpark. From a performance standpoint, the I-PACE’s stout motor gets the car to 60 mph in 4.5 seconds, which is slightly better than the Model Y Long Range (AWD) time. And for comparison’s sake, the cheapest Model X starts at $88,000 without any options, so it’s really not comparable here. Where the I-PACE appears to top the Model Y is in the cabin. As noted above Rick and I were fans of the interior and the creature comforts inside: nice materials, great craftsmanship, and pleasant design. The interior finishes in the car where impeccable, and being inside the car really was a pleasing experience. The cherry on top was the tech - highlighted by the functionality of the dual touchscreen interface in the console, as well as all the cleanly displayed technical information under the dashboard hood. 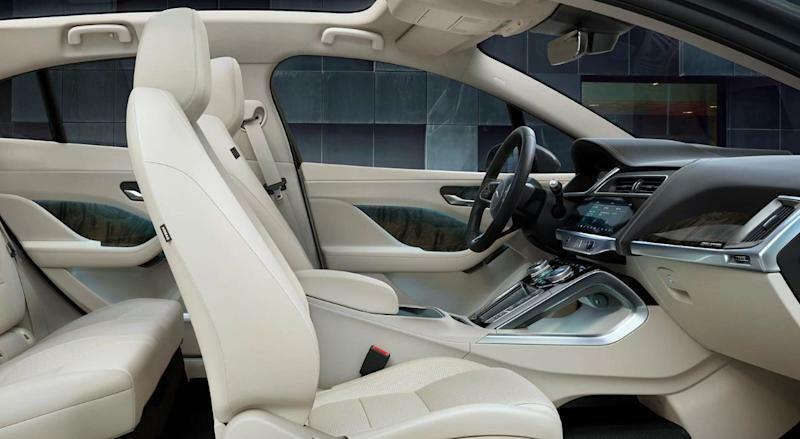 By comparison, based on its launch the Model Y’s interior appears to be based on the Model 3, a car we tested and interior we liked due to its clean appearance, but one we wouldn’t exactly call luxurious. Based on what we know about the two cars, all other things being equal, the I-PACE is a clearly better because creature comforts matter when we’re talking about similar cars in a price range. And here’s an added bonus for people in the market: you can buy it now. The Model Y is almost two years away, and we don't know if these pricing figures will be the same in a late 2020/early 2021, or if Model Y Long Range will hit 280 miles when fully charged, as noted by Tesla. Once the Model Y is out we will test it and gladly update this review if necessary, but for now, the I-PACE is the preferred option. Note: This post has been updated for clarity purposes.